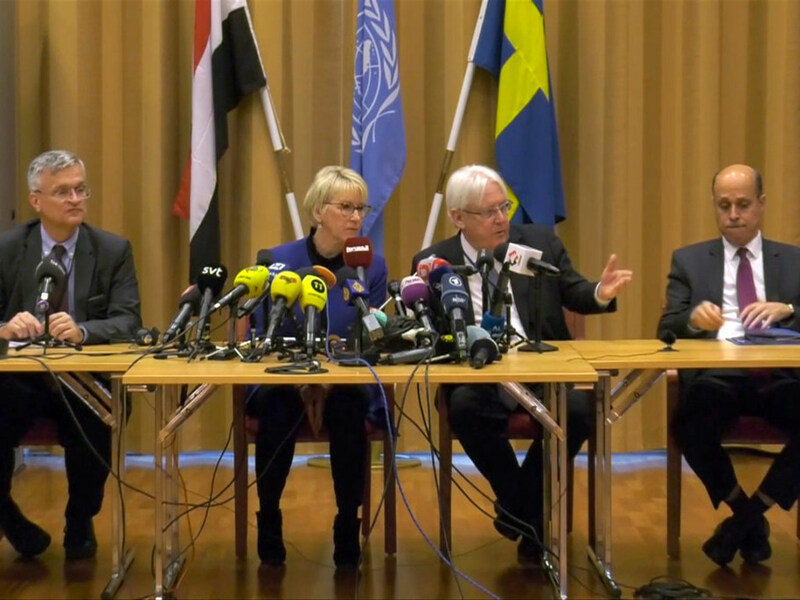 Secretary-General António Guterres welcomed the consultations underway in Sweden between the two Yemeni warring sides and urged the parties to make progress “by exercising flexibility and engaging in good faith and without pre-conditions”. “The Secretary-General appeals to the warring parties to continue the de-escalation in Hudaydah and explore other measures to mitigate the life threatening economic and humanitarian situation,” said a statement issued by his Spokesman a few hours after talks commenced. Special Envoy Martin Griffiths, the senior UN official facilitating inter-Yemeni talks, said that the resumption of the political process, after two-and-a-half years, is an “important milestone” and the presence of the two delegations shows that they are ready to work together. 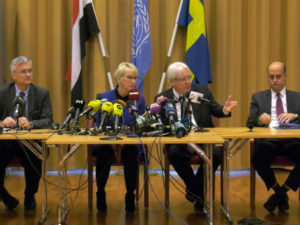 Later, he added that being together in the room demonstrated “to each other, and most importantly to the people of Yemen that you are ready to come together in the name of a peaceful political solution to the conflict,” Mr. Griffiths declared, addressing a press conference alongside Yemeni representatives and the Swedish Foreign Minister, Margot Wallström. The UN Special Envoy also highlighted that the calls – made by leaders from both parties in recent weeks – for reduction of violence and “de-escalation” of military operations, have formed an important backdrop for bringing the two sides together. “Such a reduction of violence and restraint on the battlefield has a significant impact on the lives of Yemenis, but is also a signal to the people that we are here with serious intent to pursue a political solution,” he said. The day also witnessed the parties signing an agreement on the exchange of prisoners, including some under house arrest, announced Mr. Griffiths, prospectively allowing thousands of families to be reunited. “The bar for success here, however, is higher,” continued the Special Envoy, noting the deteriorating situation in Yemen, including the country’s economy, health care, education and all aspects of life. Since the conflict escalated in 2015 with the beginning of an air war backed by a Saudi-led coalition – thousands of civilians, including many hundreds of children, have been killed as a direct consequence. Many more have lost their lives to malnutrition and deadly diseases such as cholera. Across Yemen, more than 24 million people – over three-quarters of the population – are dependent on humanitarian assistance or protection, of whom over 8 million are severely food insecure and at risk of starvation. Written by: Jaber Ali on December 7, 2018. Posted by Jaber Ali on Dec 7 2018. Filed under Headlines, World News. You can follow any responses to this entry through the RSS 2.0. Both comments and pings are currently closed.